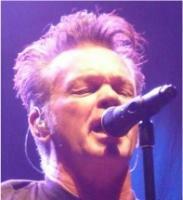 7th ANNUAL FARM AID CHARITY AUCTION BIDS NEW ITEMS ADDED Bids updated! 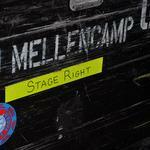 John Mellencamp Community > MELLENCAMP.COM ANNOUNCEMENTS > Announcements & Updates > 7th ANNUAL FARM AID CHARITY AUCTION BIDS NEW ITEMS ADDED Bids updated! Re: 7th ANNUAL FARM AID CHARITY AUCTION BIDS NEW ITEMS ADDED Bids updated! Wow!, that's a fantastic amount raised. Thanks to the winning bidders and to Sharon for her hard work! Have fun this weekend! A check for $4560.00 was issued to Farm Aid in the name of Mellencamp.com/Human Wheels Community and presented to John and Farm Aid. John could not believe how much we raised! I said there is still more coming! thank you to all that took the time to bid, donate dollars and donate merchandise! Anyone that did not pay for their items its not too late! I will get the rest of the items shipped this week. If you have received your item please send me an email of confirmation. Thanks All!